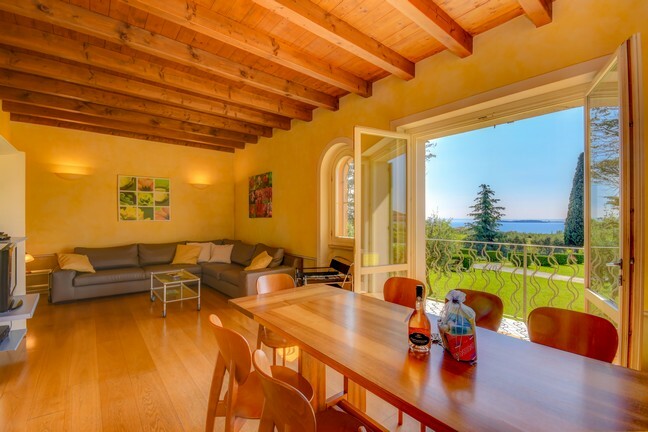 Our wonderful apartment is at the ground floor of the XV century villa in our beautiful residence Corte Ferrari and is surrounded by flowers, olive trees and vineyards with beautiful views over Lake Garda. 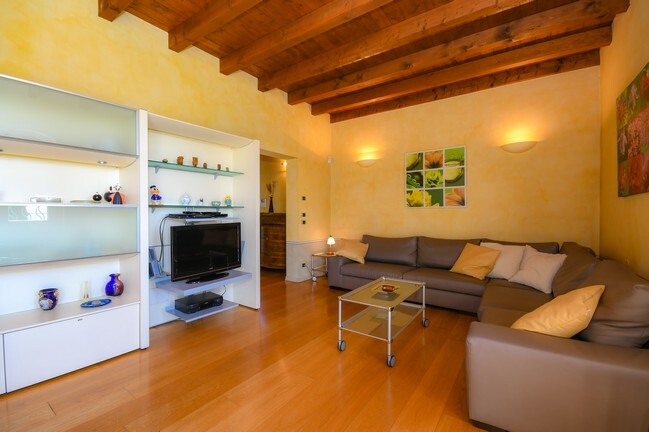 Although part of our residence, Apartment "Casa Petra e Franco" is in our villa and is set aside from the other apartments we have, offering a haven of privacy and tranquillity. 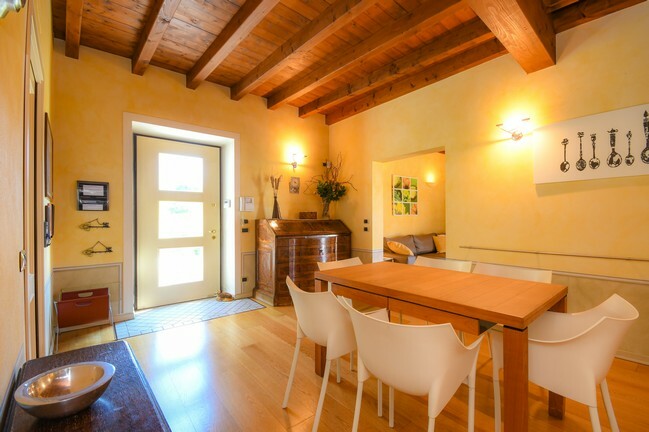 The apartment is spacious and luxuriously furnished and has balconies overlooking the lake and a small private garden. The kitchen is fully equipped with oven, dishwasher and fridge freezer with automatic ice and water dispenser. With both a breakfast bar and dining table, the separate kitchen area is well sized for the largest of families. 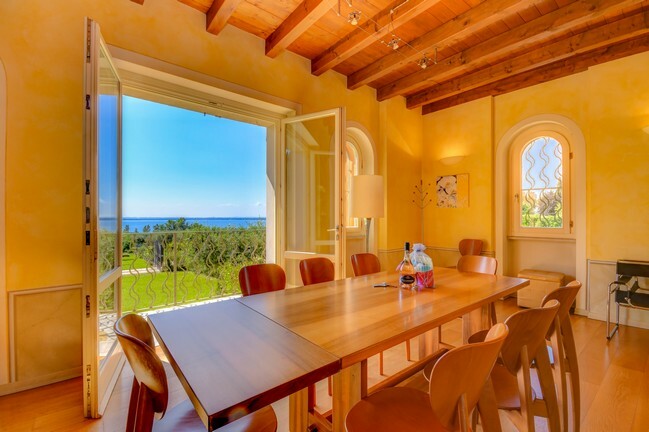 The living area also has a large dining table from where you can see through the balcony doors to the vineyards and beyond. As well as a large sofa comfortably seating 6 persons there is a television, DVD player and stereo system. 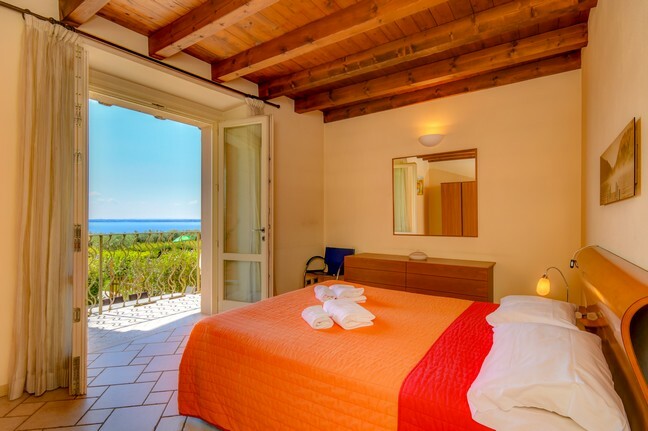 There are 2 double bedrooms, each with a double bed and 3 bathrooms with shower and bath. The third room has 2 single beds. Our apartment can comfortably sleep up to 8 persons.